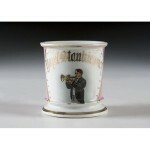 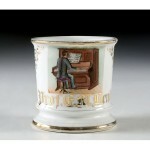 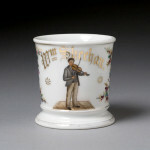 The Musician category contains any mugs that show a man-at-work style image of a person playing a musical instrument or on some mugs just the musical instrument. 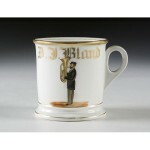 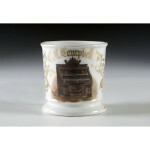 These are typically fairly rare mugs that are valuable depending on the specific illustration and instrument. 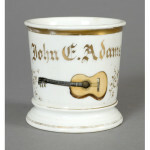 Common instruments are pianos and guitars but many others can be found as well.